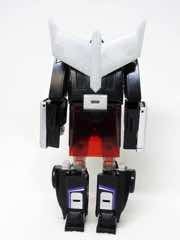 Almost but Not Quite Shattered Glass! 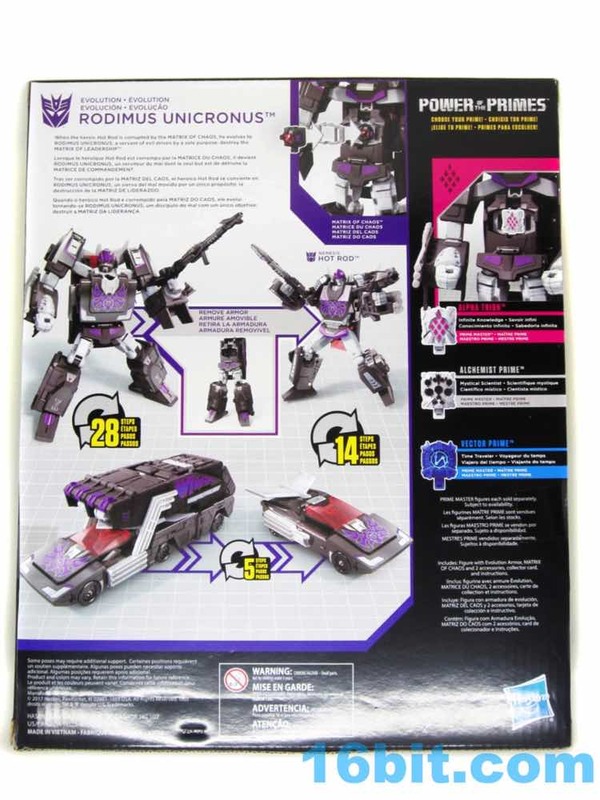 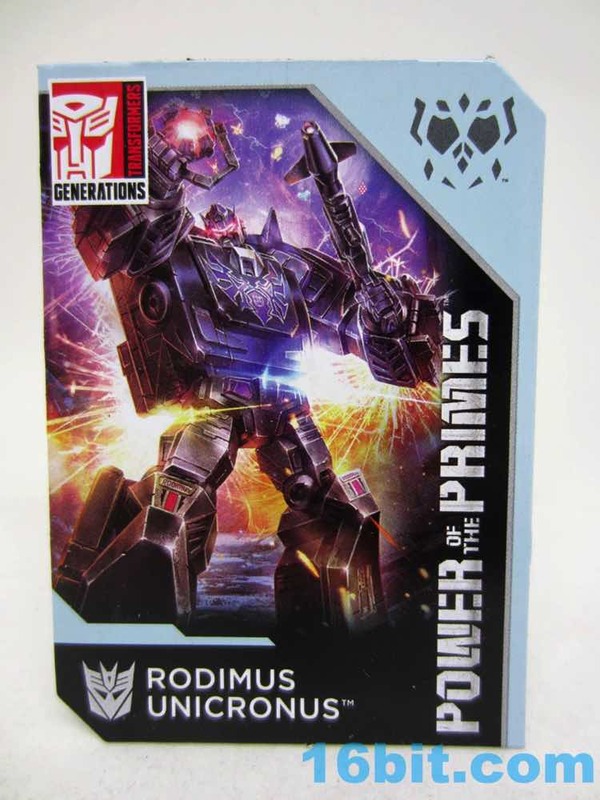 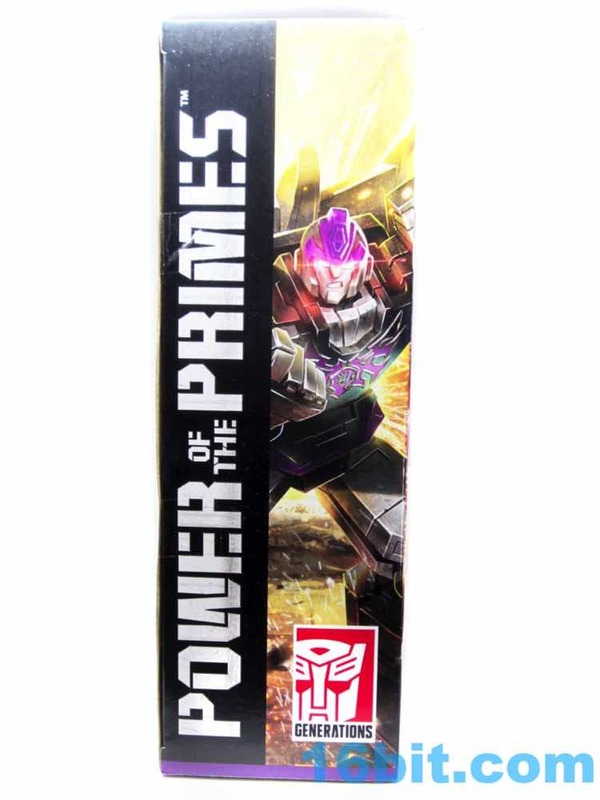 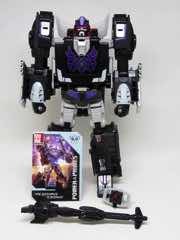 At first glance it seemed Rodimus Unicronus might be a "Shattered Glass" redeco with a purple Autobot symbol and all, but this was not the case - but a test shot did feature that logo. 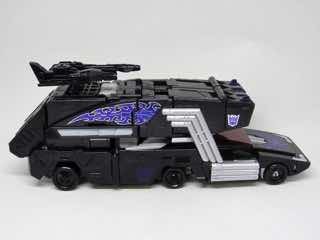 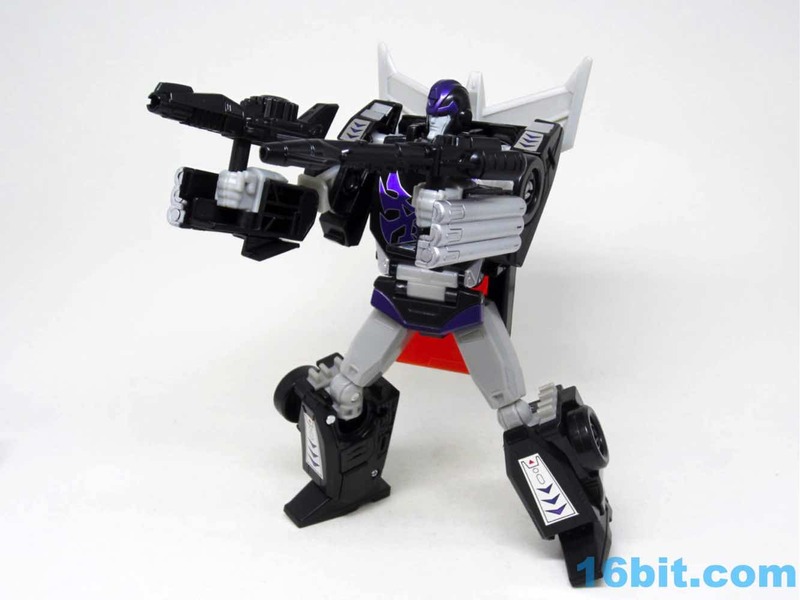 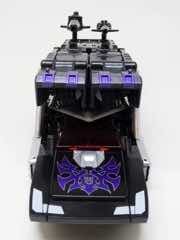 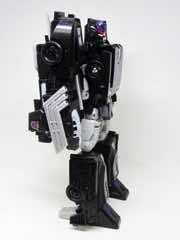 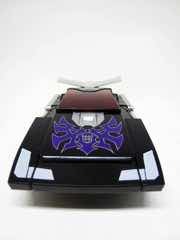 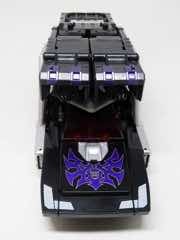 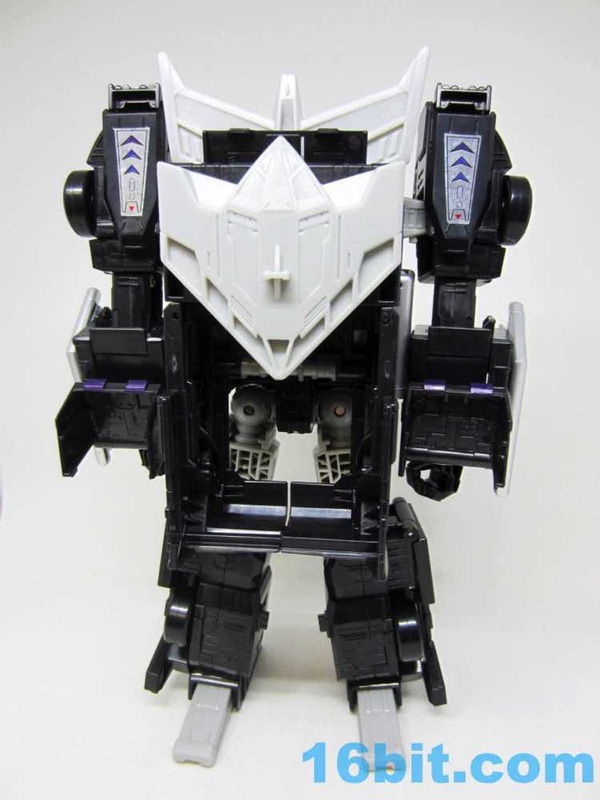 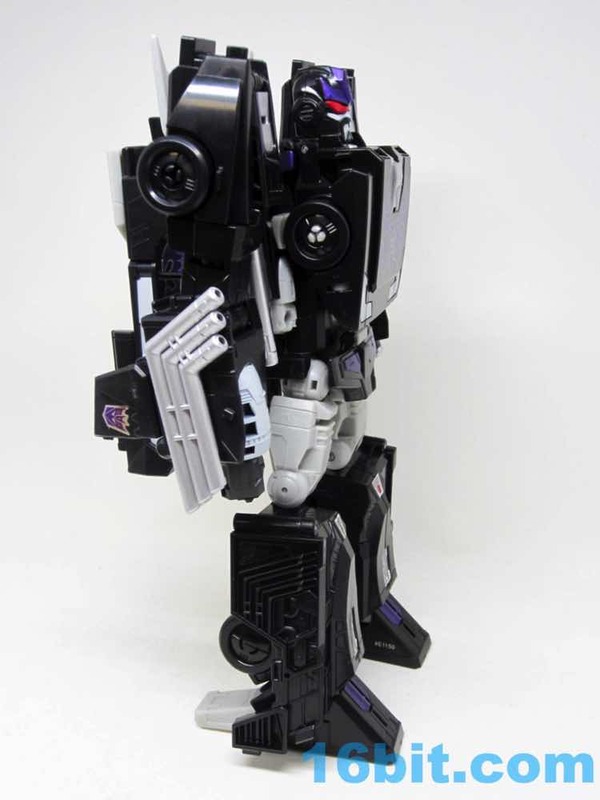 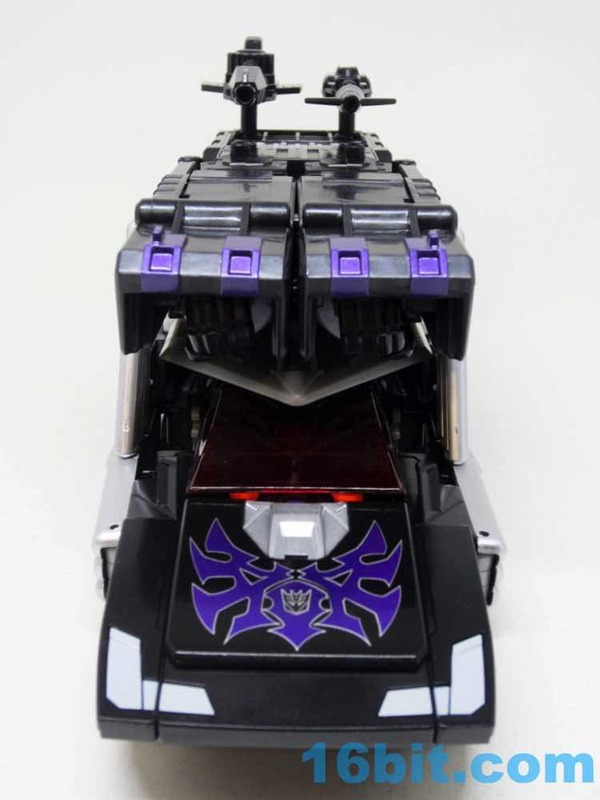 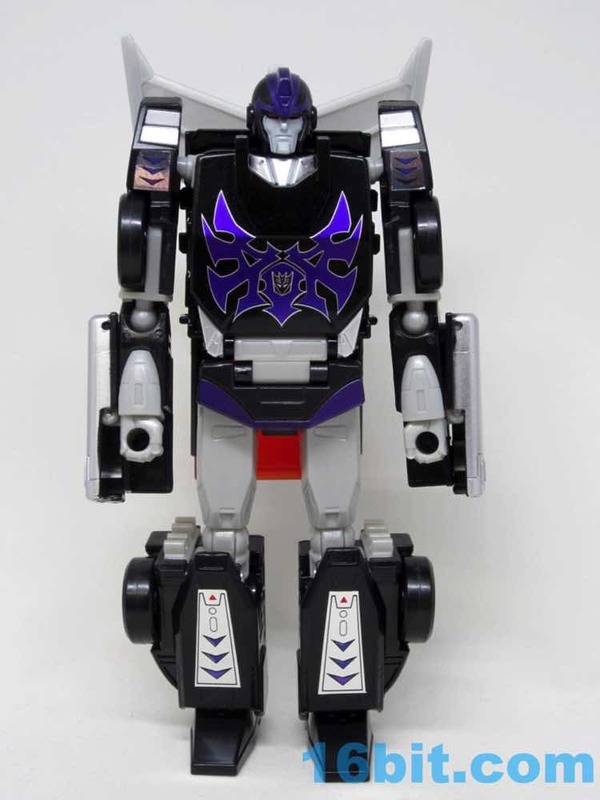 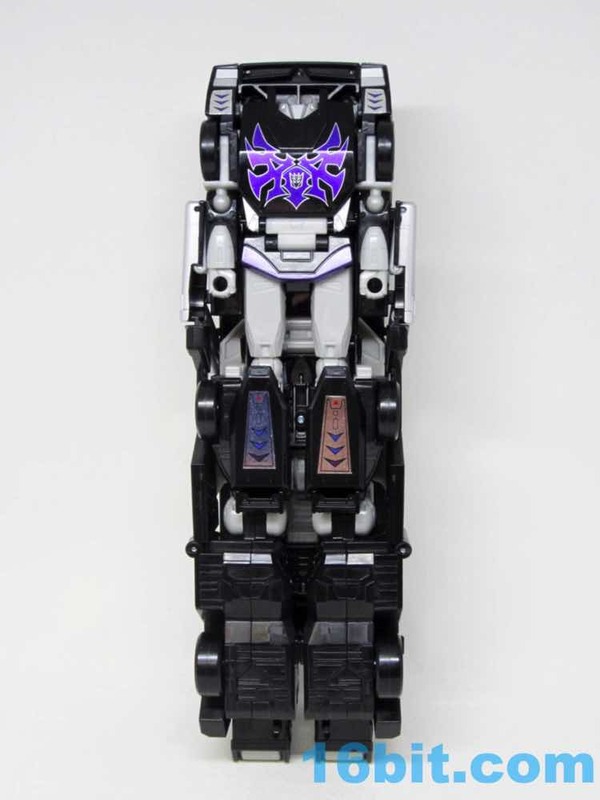 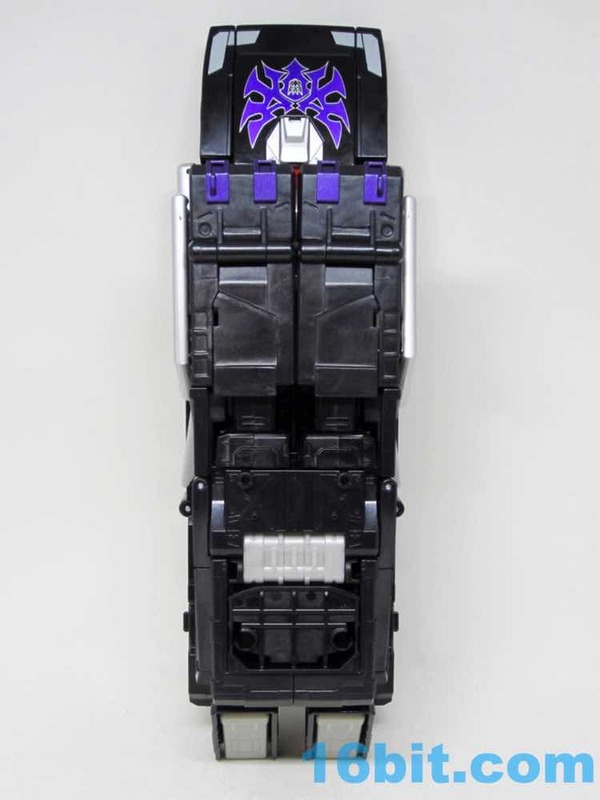 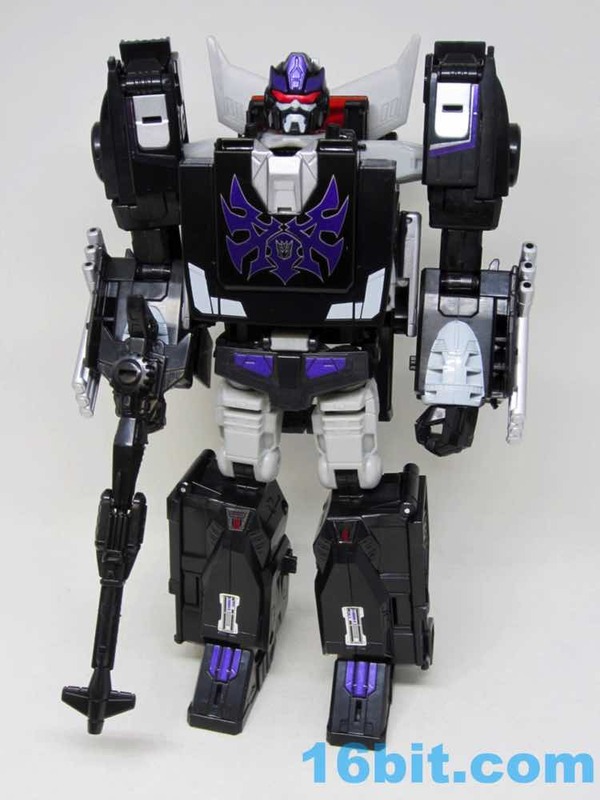 The final toy is loaded with Decepticon symbols and some very rich paint applications, including black paint on the black robot chest. 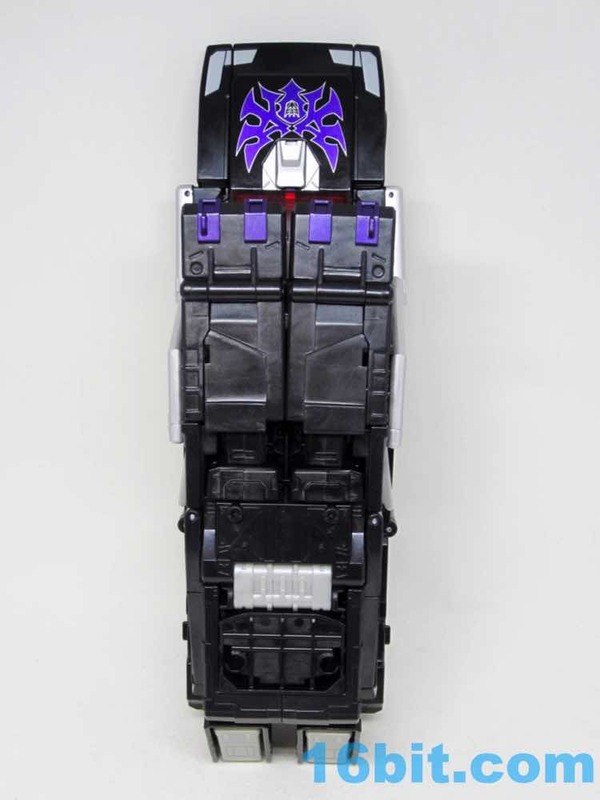 It's funny, but it looks really nice. 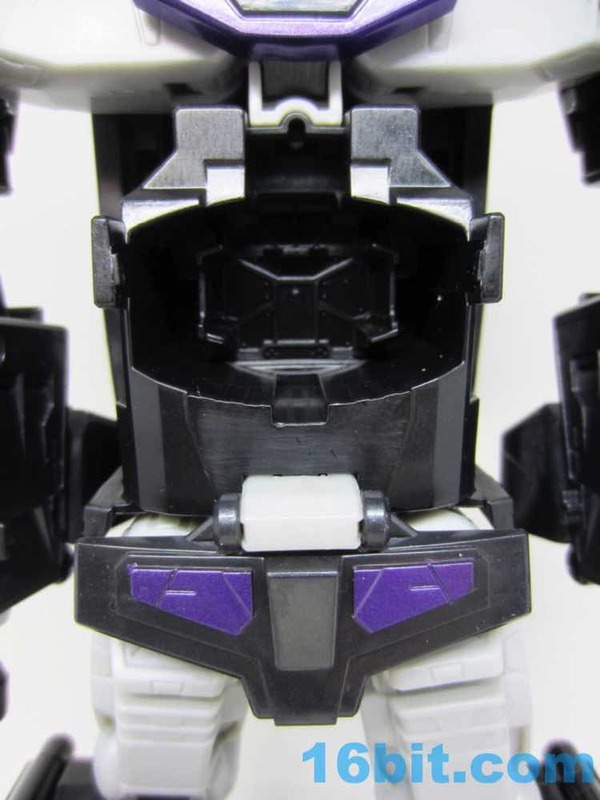 Black repaints used to be more common, so this Rodimus Prime [FOTD #1,880] is almost refreshing in that we haven't gotten many lately. 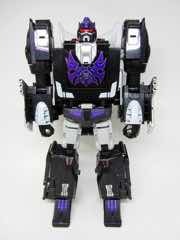 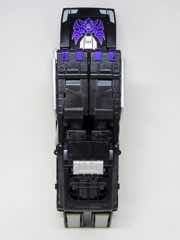 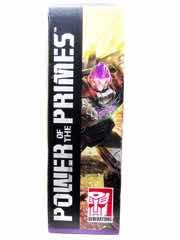 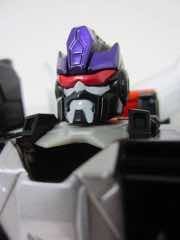 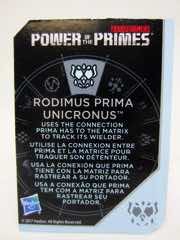 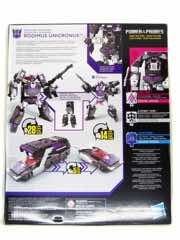 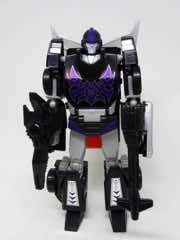 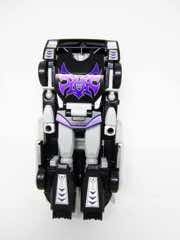 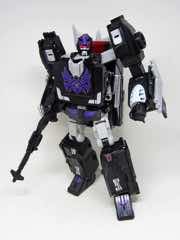 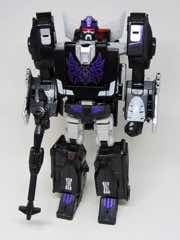 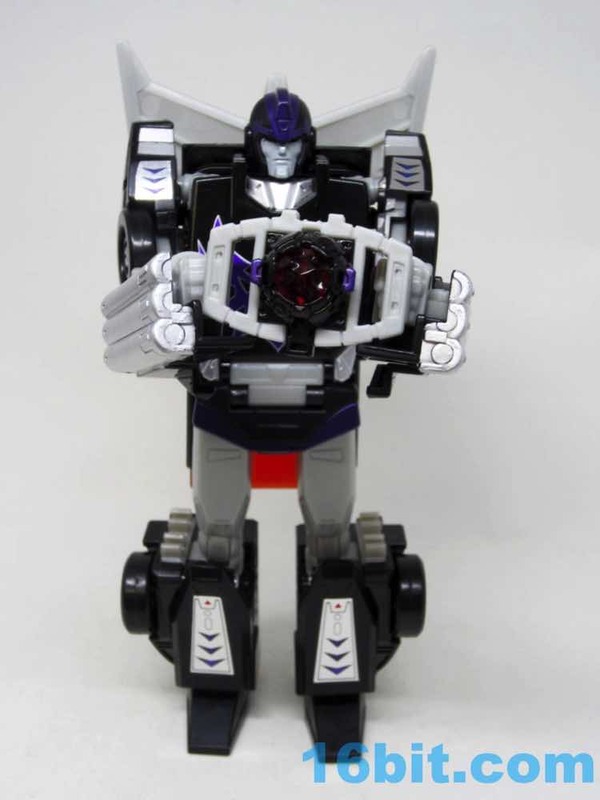 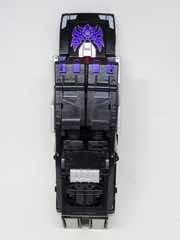 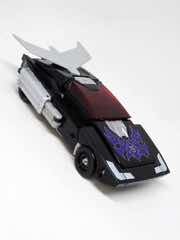 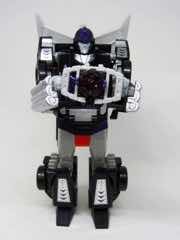 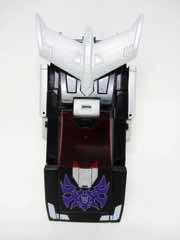 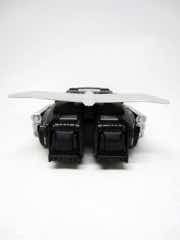 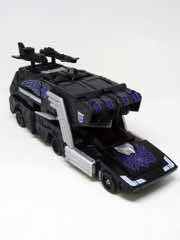 The big Rodimus Unicronus robot mode is basically the same as Rodimus Prime, except for the head. He has some serious chops and glasses now, making him look more like Animated Motormaster, or Shattered Glass Hot Rod, or the late Lemmy Kilmister. 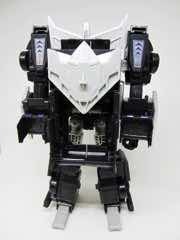 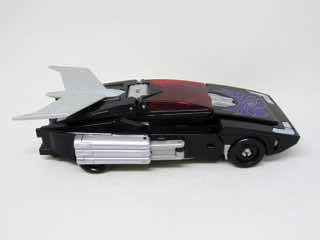 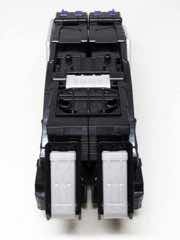 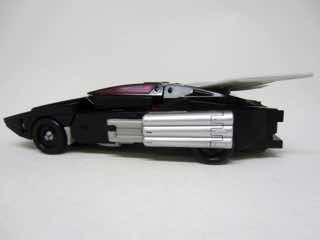 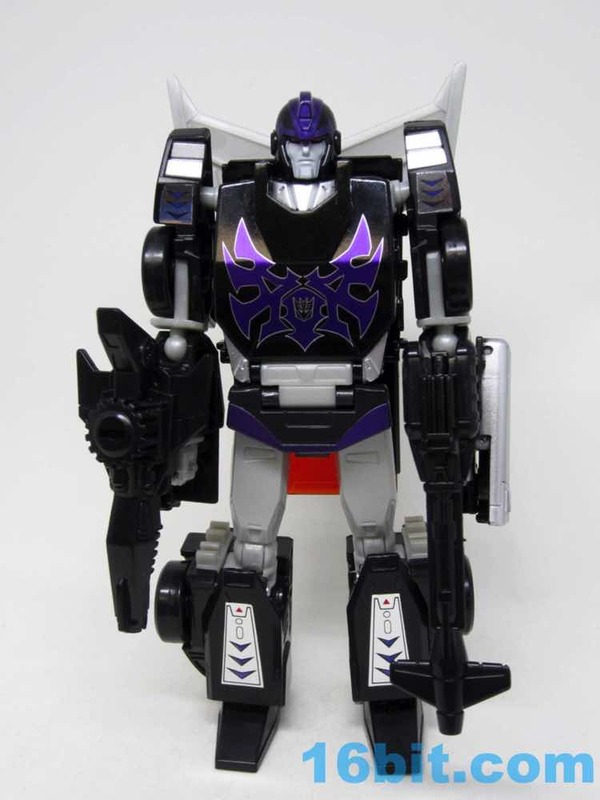 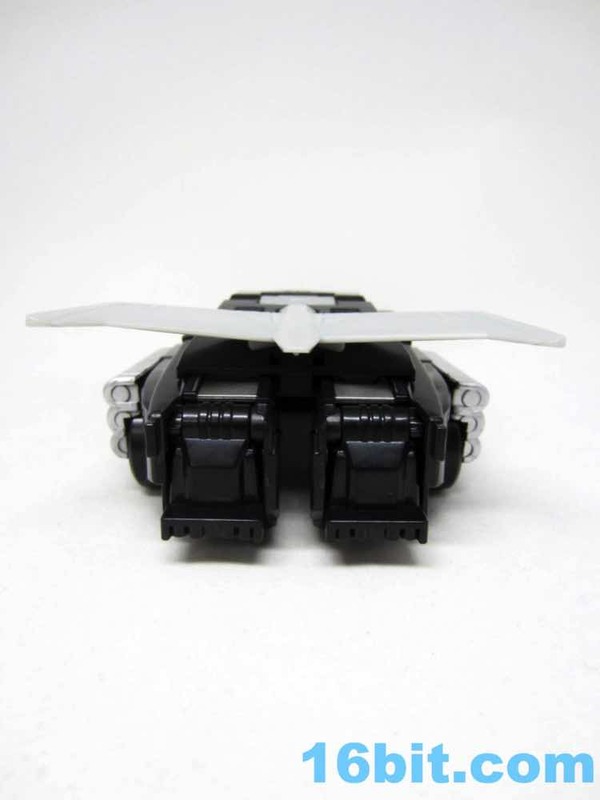 The coloring very closely matches the BotCon "evil Universe" counterpart, with the greys being almost identical. The black lacks the speckles, though, but the clear red is still there. 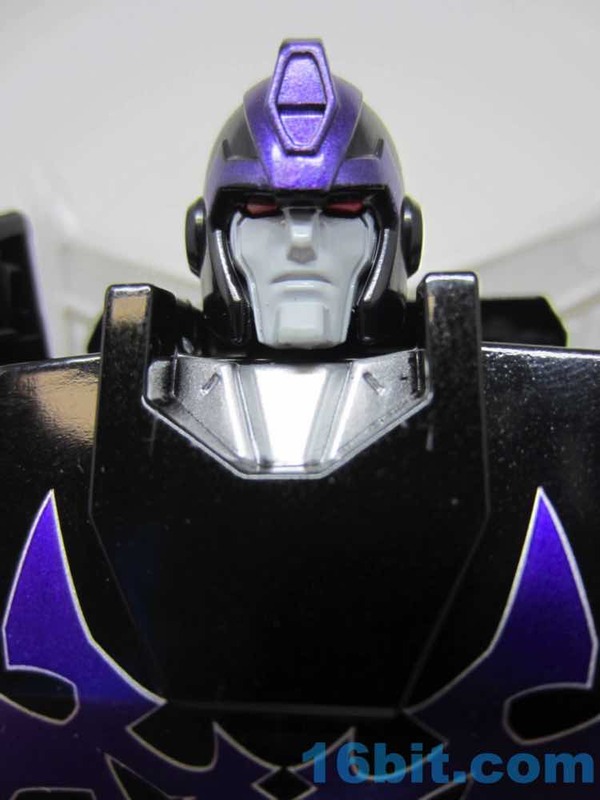 The purple has been improved - the metallic candy-like finish is stunning. 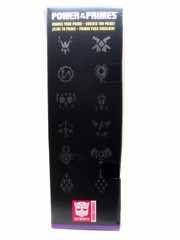 The stickers are still stickers. 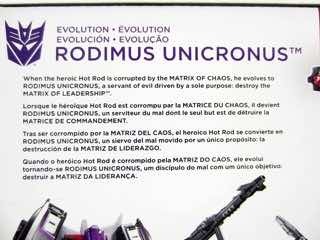 We can't win them all. 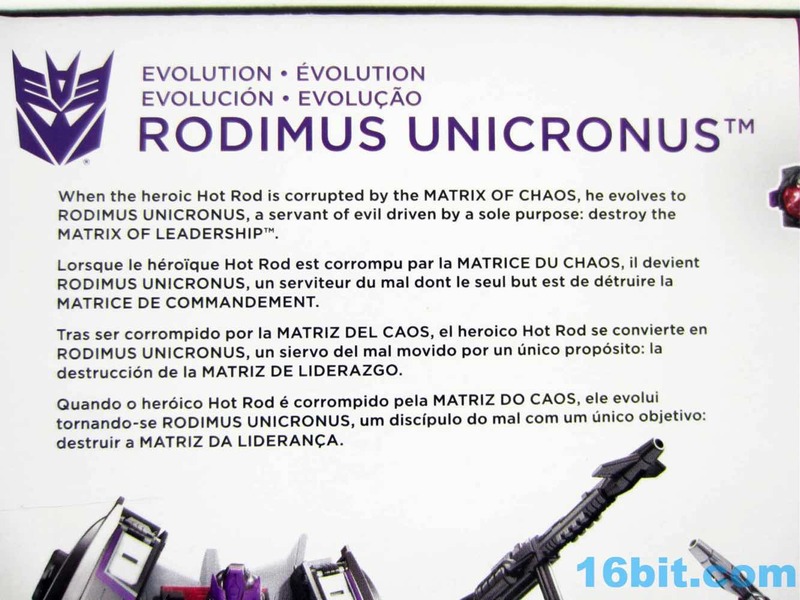 Given that he may or may not be a different character - I guess you see the fiction as you will, as there's a toy named Rodimus Unicronus and a cartoon character named Rodimus Cron, plus the early deco would indicate an alternate origin entirely. 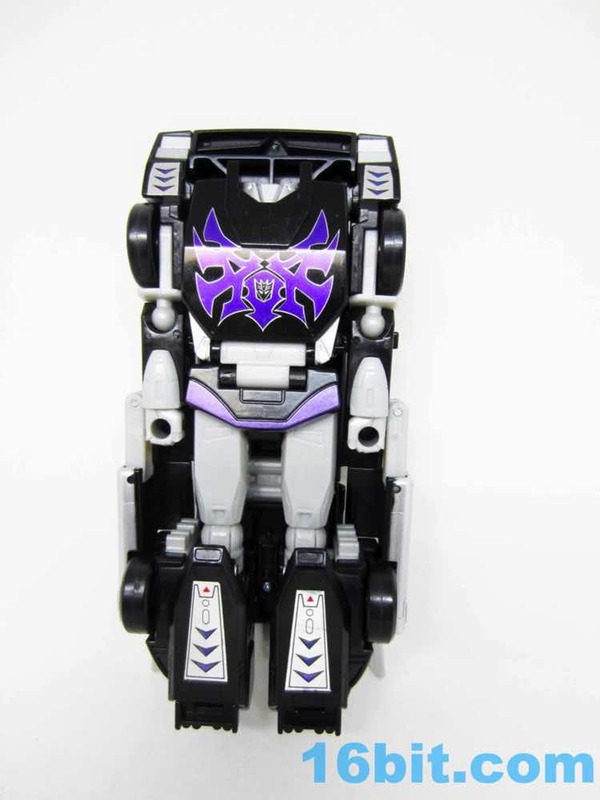 I guess it's whatever you want it to be, particularly if a deco variant makes it out there. 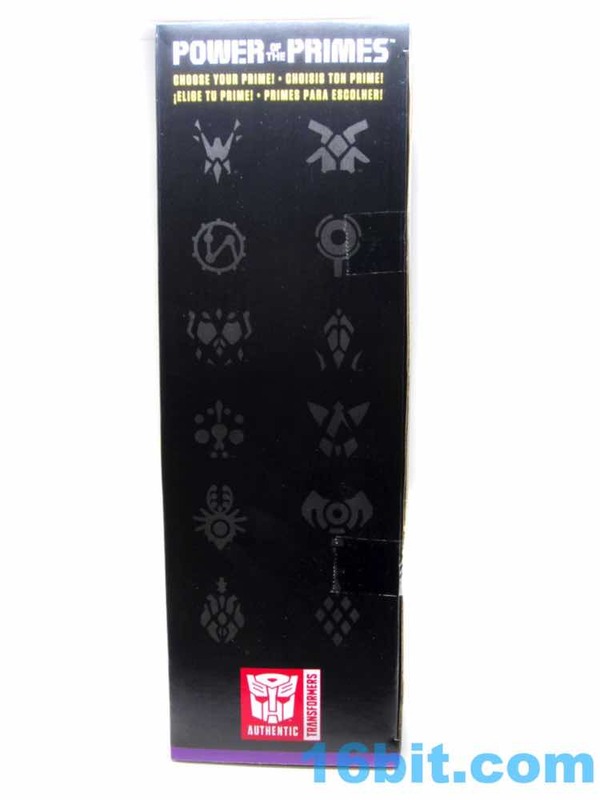 And of course, there's always new stickers from aftermarket upgrade makers. The smaller Nemesis Hot Rod mode is a Voyager-class robot sized (and colored) pretty much the same as the big Rodimus Unicronus. 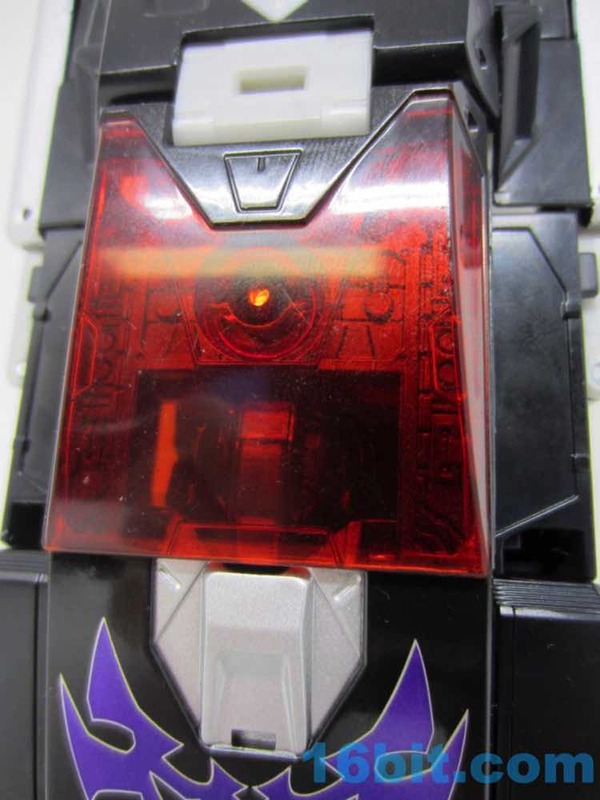 The eyes are bright and red on a grey face with a black helmet. The purple details look wonderful, and the silver stickers on my sample are actually pretty good. They're bright and straight, cleanly applied and seemingly cut properly. 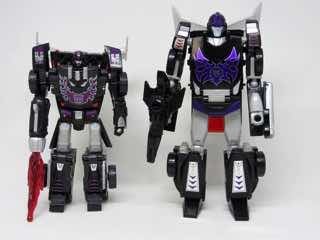 They aren't the same as Hot Rod's, as the arrows face different directions and the Nemesis ones lack color in most instances. 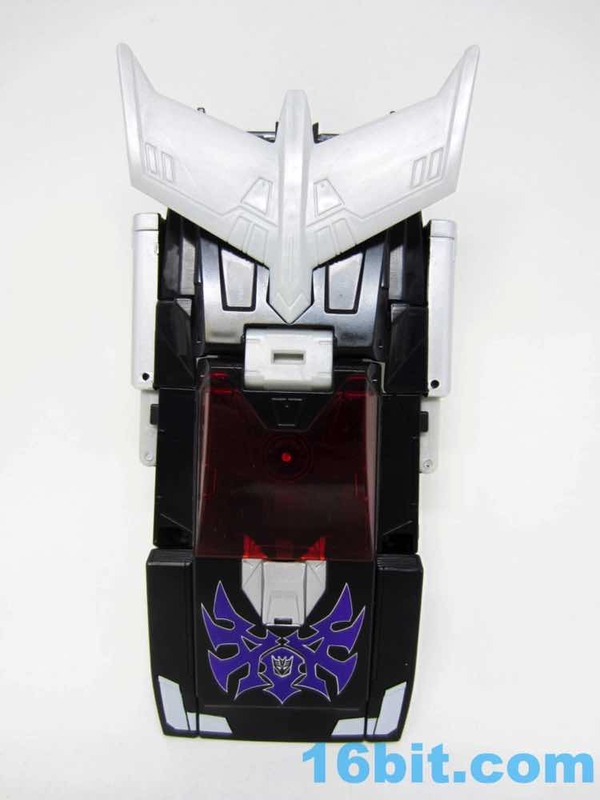 The painted silver color adds some zest to an otherwise very dark robot, and the face paint gives him some decent personality. 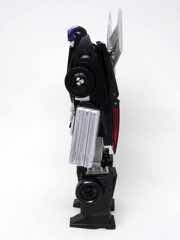 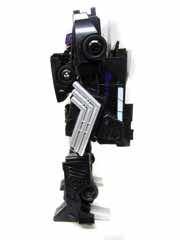 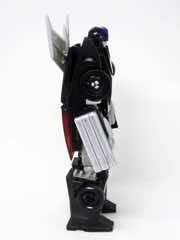 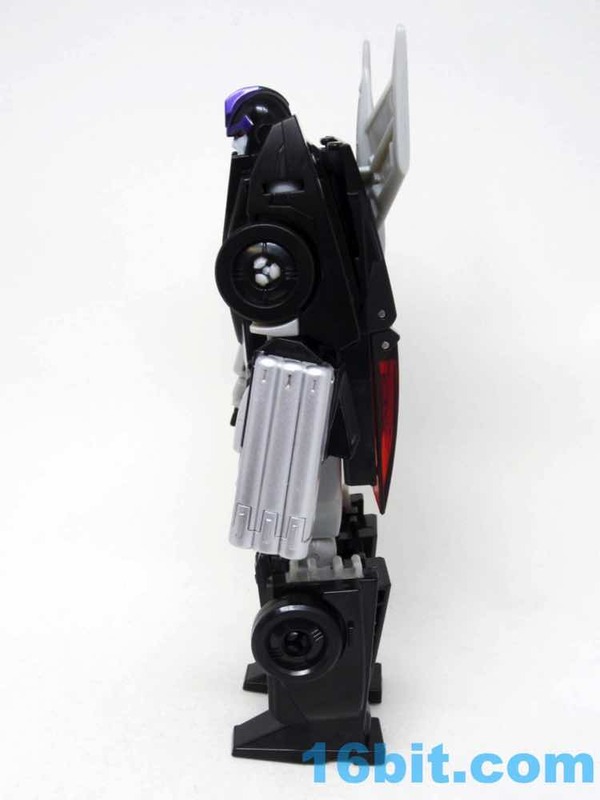 Robot articulation is pretty good, but you don't get rocker ankles or anything. 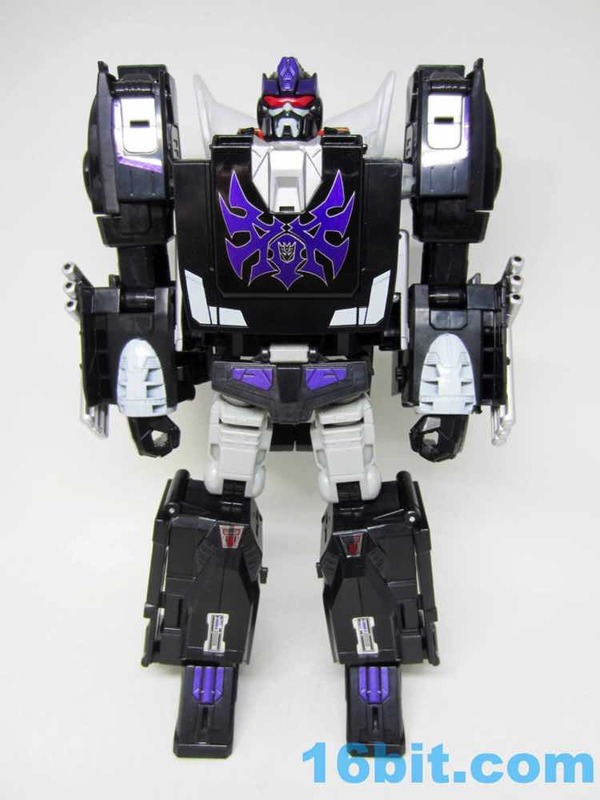 I'd say "you won't be disappointed," but I do wish Hasbro sprang a nickel and gave him some sort of evil facial hair in this mode. 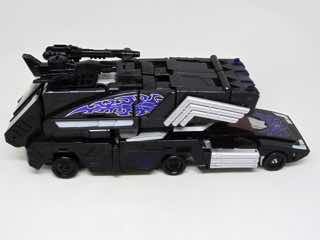 Then you'd have no reason to get the older BotCon toy that's too expensive anyway. The big camper mode has new stickers, and some are better than others. 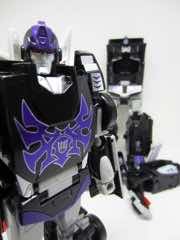 The purple tattoos look good, but the Decepticon symbols are a little crooked. There's a lot of black here, and the vehicle has no real features to speak of in terms of play. 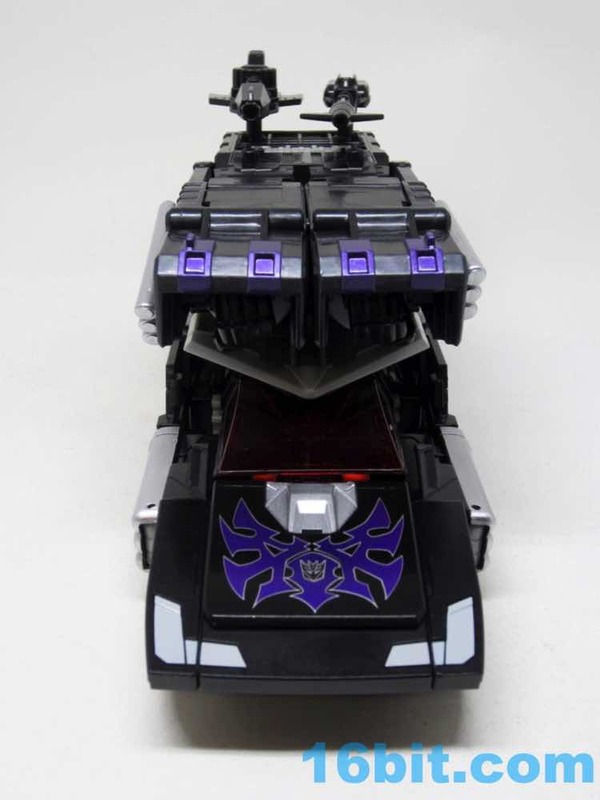 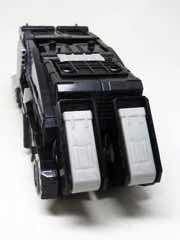 You can plug the weapons on the top, and the wheels roll - that's about it. 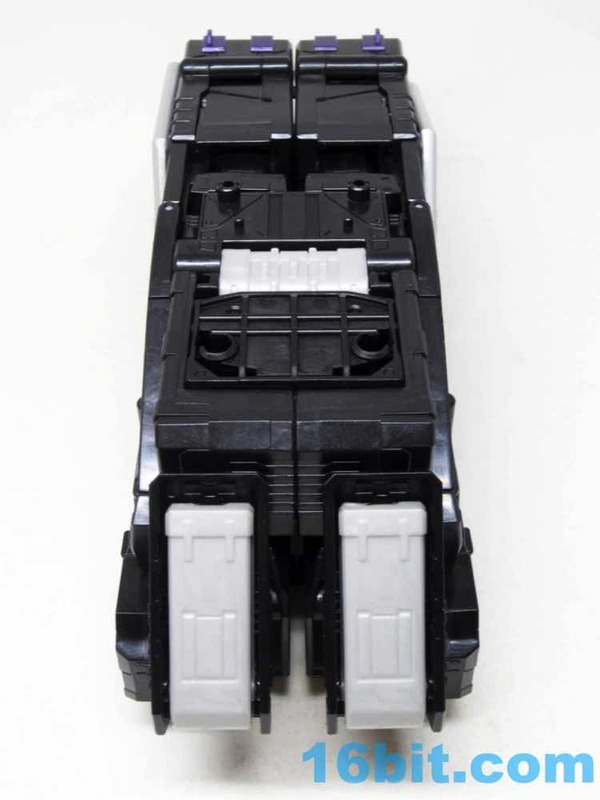 It's mostly unpainted except for the silver pipes and a bit of some grey piping. 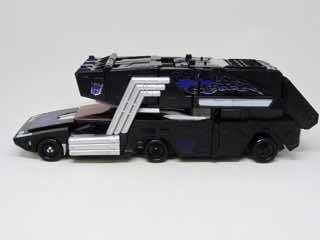 It's a nice enough mold, but it's a partsformer - the smaller robot/car is the front, the body makes up the bulk of the camper, and the separated arms become the attic above the car. Thanks to it all being a single matching black it looks better than Rodimus Prime, but it's hard not to pine for transformations that involve less dismemberment. The little Nemesis Hot Rod car mode is a treat, but it's not perfect. 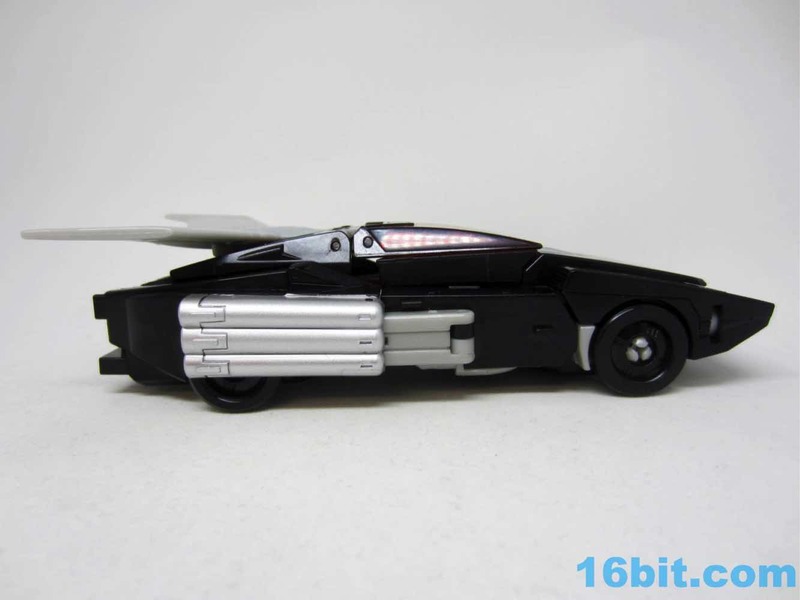 You get the grey spoiler and some of the pipes are grey - and some are silver. 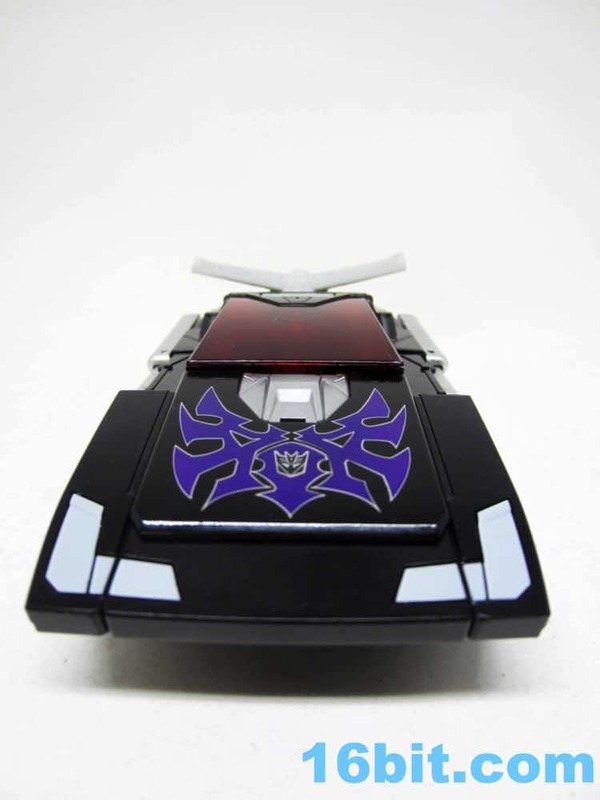 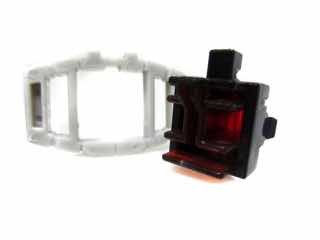 The mismatch is a little ugly, as the toy also has some grey paint on the headlights. 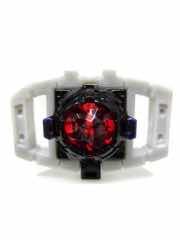 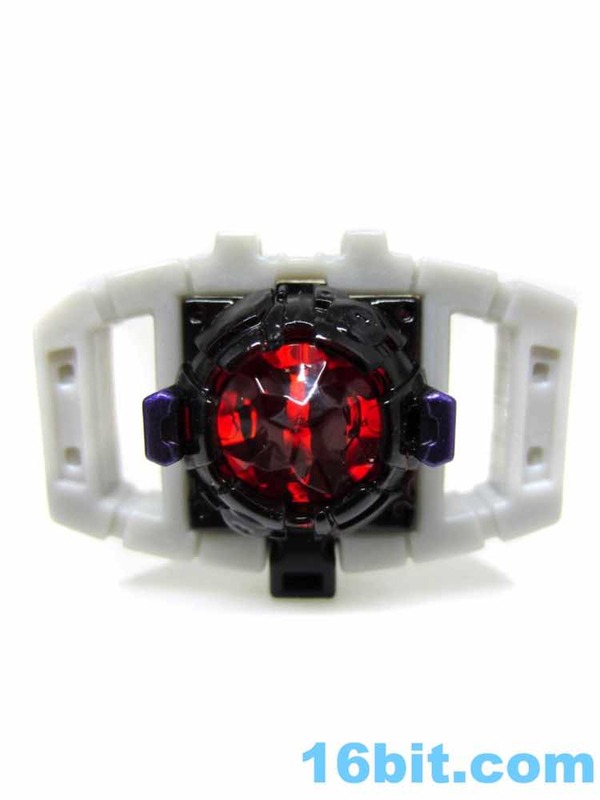 It's still pretty nifty, and I like the red glass a bunch. I would've loved a more consistent grey or silver across the board, but it still looks pretty slick. 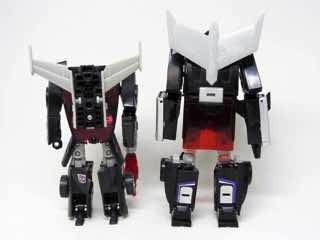 And the BotCon toy had the mismatch too, so it's not the end of the world. 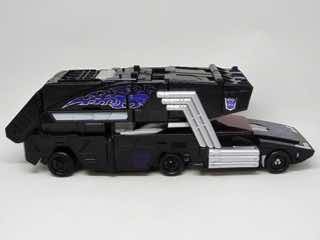 Painted wheels really would have been nice, though. 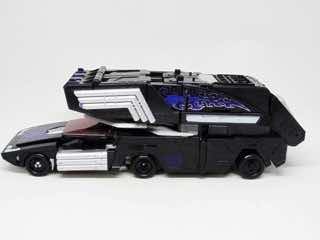 You absolutely don't need the redeco and the regular deco, but maybe I do. 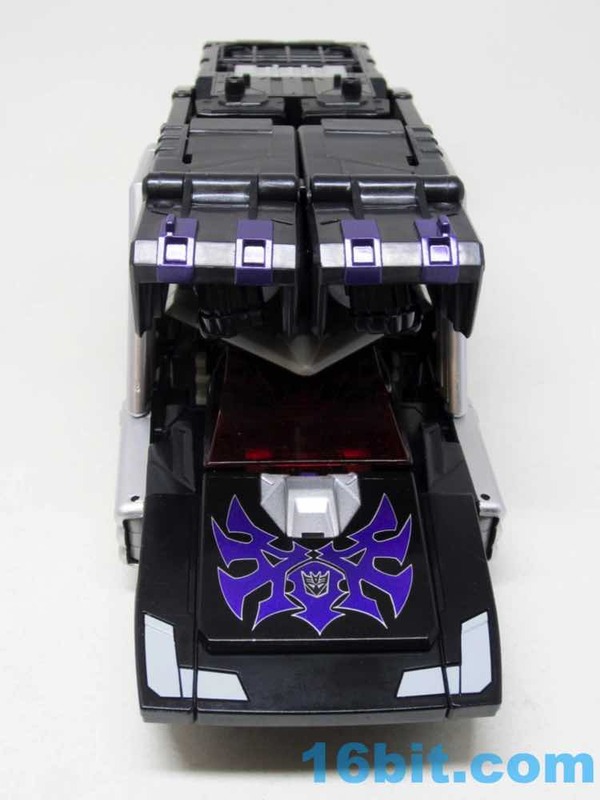 I like the variety and a lot of my pals tell me they plan to only buy this version of the mold. 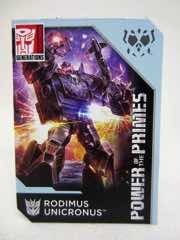 I'd say get whatever your budget permits - especially if they wind up on sale. The Unicronus look is a bit more clean and different from most toys in the line, but I can't deny the appeal of an actual, legit Rodimus Prime toy either. 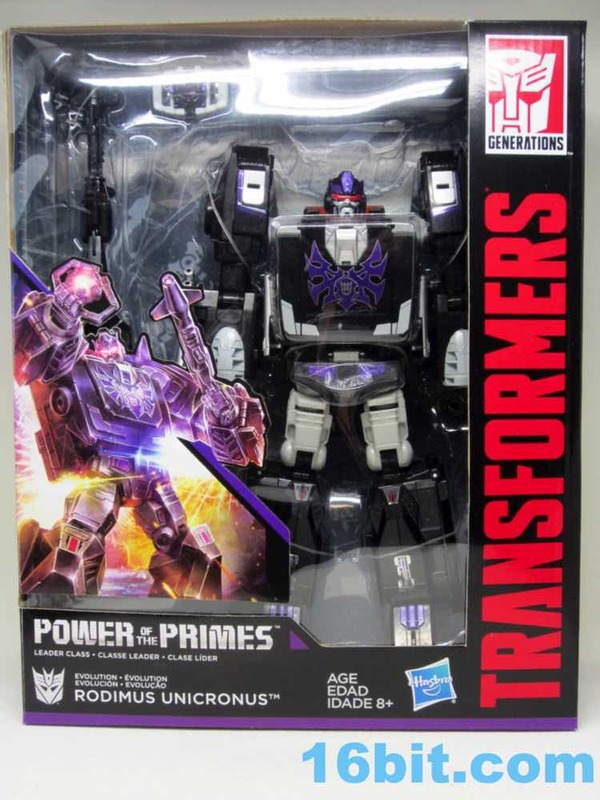 Kudos to Hasbro for doing something a little weird for a main line release, even if it is in the name of amortizing their tooling investment.